Scotch Plains is everything you would expect from an american town. With a rich 300 year history, its approximately 23,500 residents enjoy this town's many parks and museums. Located on the Raritan Valley Line and minutes from the Garden State Parkway, Scotch Plain is centrally located to all that New Jersey has to offer. The New Jersey Transit Authority Scotch Plains station connects commuters to anywhere in the state and New York City. Public transportation is also available through the many bus located around Scotch Plains. Getting to where you need to go couldn't be move convenient. Schedules, fares, map and trip planner are available through the New Jersey Transit Authorities web site. The Scotch Plains Public School District has 8 schools servicing the township. To find out more about the district and the range of courses offered. Visit the district web site. If you are interested in what other parents say about their experiences with the Scotch Plains schools, visit Great Schools. For a more detailed review, US News rates high schools annually based on national test scores and an overall evaluation. Schools are then ranked nationally and within their own state. 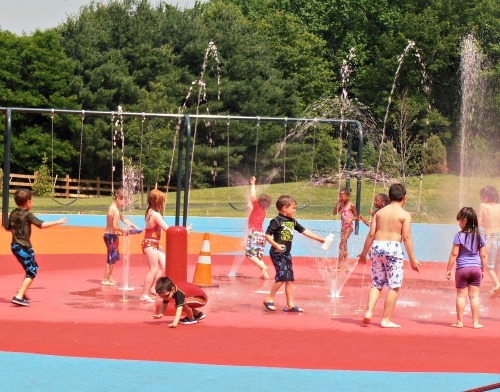 A range of information about the Scotch Plains municiple amenities and its many local clubs/organizations can be found on the Township of Scotch Plains web site. For more information about living in Scotch Plains including weather, town statistics and local businesses, check out the following web sites. If you are interested in a personal town tour, complete the Contact Me information form and let's get moving.